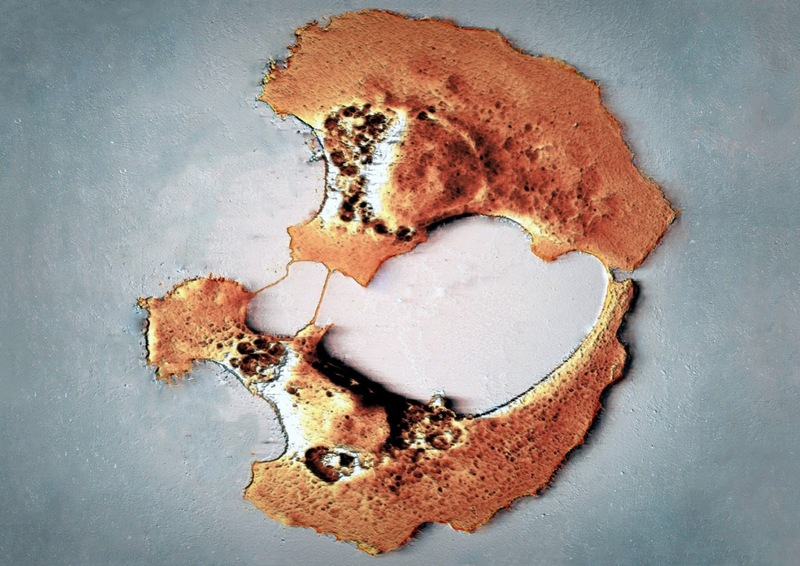 This is an image depicting two dying cancer cells side by side using an Atomic Force Mcroscope (AFM). We observed lines connecting the two amber coloured cells as each cell was going through it's process of dying. It is not fully understood why the cells are trying to communicate with one another in this way as they are dying. In a way it seems like a desperate romantic gesture between two dying entities - like Romeo and Juliet, or Tristan and Isolde. It seems this way until one realises that these entities are cancer cells. Cancer is a destructive disease from the perspective of the human race; a disease which has caused a lot of pain, anguish, and anger for numerous people. Is it possible to empathize with these little cells? How could one empathize? Why or why not?